Ramp up your workouts with this weighted vest. Great for cross training, strength training and endurance training. 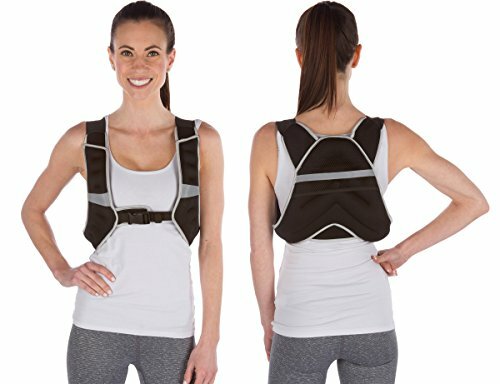 Made of soft neoprene, the vest comes filled with iron sand and weighs 10lbs. There is a Velcro pocket to hold earbuds. The vest measures 11" at the widest and 14" long from the shoulder. The belt is adjustable. One size fits most. By Trademark Innovations.